reactions, and may be administered every time it is necessary without becoming accustomed. 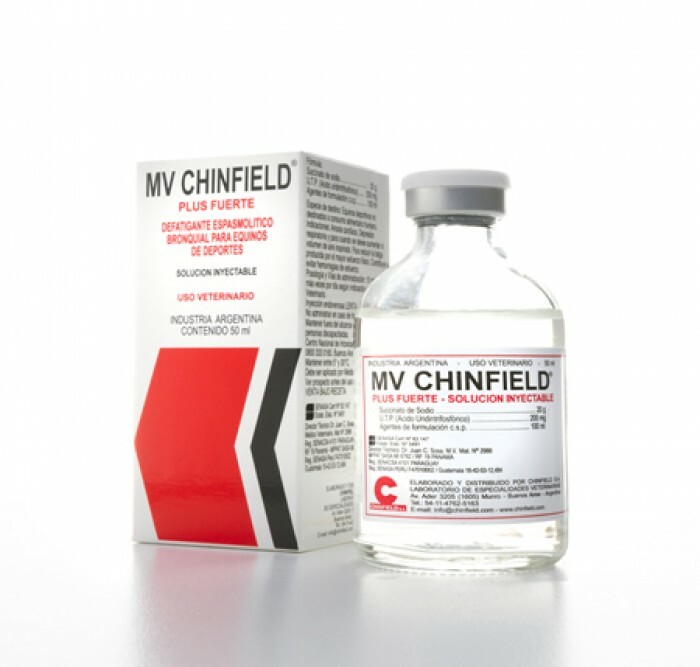 MV CHINFIELD is always used as a prophylactic of straw, shaving bed, because those and several allergens may produce allergic reactions in sensitive horses. Indications: Cardiac anoxia. Respiratory depression and when volume of inspired air is wanted to be increased. To reduce fatigue produced by great physical effort. To avoid effort hemorrhages. Destination Species: Sport equines non destined to human food consumption. Posology10 ml. once or more times per day, according to necessity. 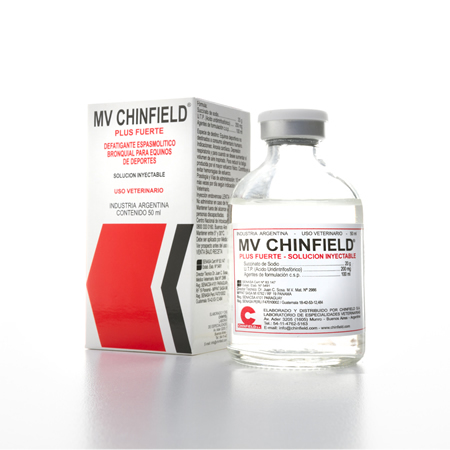 SLOW IV INJECTION. Presentation: Ampoule bottle x 50 ml.